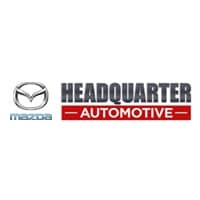 At Headquarter Mazda, our customers are family and we treat them as such. This includes offering a comprehensive selection of new and used Mazdas at the best prices in the Clermont, Florida, area. We don’t just say we have the lowest prices – we ensure it with our price protection guarantee. What is Headquarter Mazda’s Price Protection Guarantee? If you find a better price at any other dealership within five days of your purchase, we will refund the difference plus 10%. Just make sure to note that you saw our price protection guarantee at headquartermazda.com. This is just one of the many reasons to choose Headquarter Mazda for your car buying and service needs. *Competing price must be on signed buyer’s order within 5 days of purchase from Headquarter Mazda.